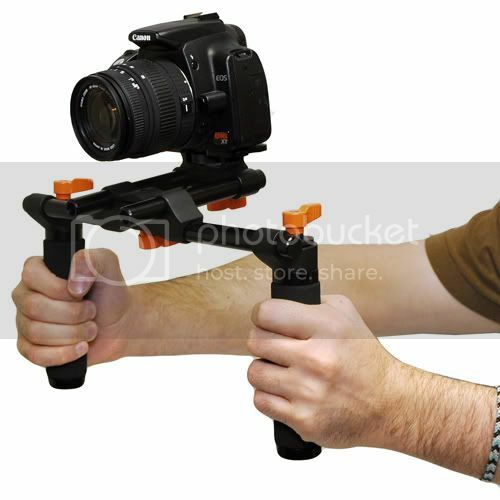 The Opteka CXS-200 is a dual-grip video support rig designed to stabilize and minimize rotation from your video shoots. See a dramatic improvement in your comfort and shot quality. 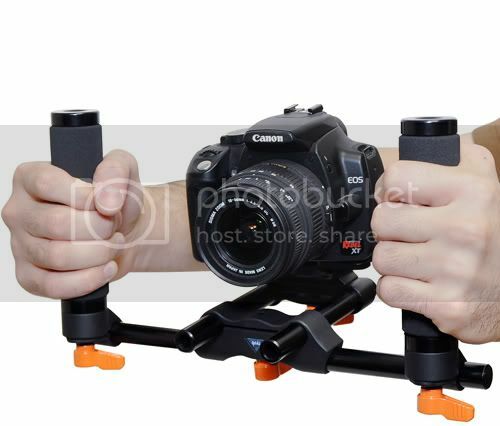 The CXS-200 may be used with the handles pointed upwards for regular shooting or reversed for higher angled shots. Featuring Opteka's universal rail system, the CXS-200 may be further customized with accessories such as lights, microphones or a follow focus.